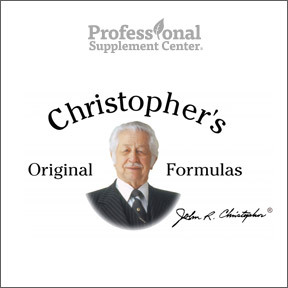 Founded in 1945 by Dr. John R. Christopher, ND, MH, Dr. Christopher’s Formulas’ mission has always been and remains to provide whole herb, non-extracted dietary supplements. To assure perfect synergistic balance, Dr. Christopher’s utilizes 100% pure herbals and botanicals with active ingredients in proportion to those found in nature. Dr. Christopher’s original formulas are designed to cleanse, nourish and heal the body and, as such, the sourcing of high quality wildcrafted and organic herbs is of utmost importance. These time tested formulas, manufactured under the highest quality control standards, deliver the best that nature has to offer to restore, purify and strengthen the body through proper nourishment. All ingredients are tested from their raw material state, through the manufacturing process, to the finished product, to verify identity and to detect contaminants, pesticides, heavy metals, mold, yeast and microbials. Dr. Christopher’s Formulas are produced in an FDA inspected facility and are manufactured to meet or exceed all current good manufacturing quality standards (cGMPs). No natural or synthetic chemicals, added fillers, flow agents or GMO ingredients are ever utilized. 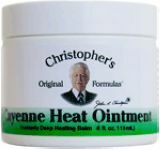 This entry was posted in Home and tagged Cayenne Heat Ointment, Complete Tissue and Bone Formula Massage Oil, Dr. Christopher’s Formulas, Hawthorn Berry Heart Syrup, Herbal Cough Syrup, Professional Supplement Center, Sinus Plus Formula, Vitamins and supplements, www.professionalsupplementcenter.com. Bookmark the permalink.